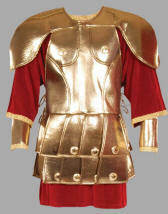 Includes Tunic w/gold metallic trim & brocade cuirass with attached gold trimmed cape. 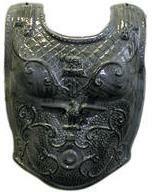 Manufacture has changed the brocade cuirass fabric so that it is all the same as the lower skirt portion. 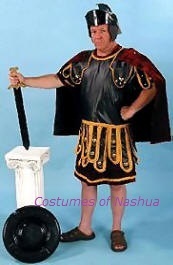 Rental costumes are as pictured. Includes: Black Crushed Velvet Undergown, White Vinyl Tunic, matching White Velvet Cape that attaches to tunic w/silver buttons, Arm and Leg Gauntlets all with Silver metallic trim and studs. Lace up tunic for size adjustability. 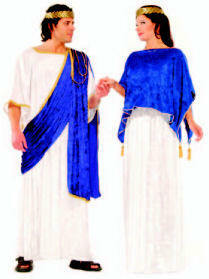 on the way to the Forum"
Includes: Same as above but tunic only. Includes: Same as above but cape only. 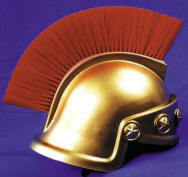 Includes: Brown vinyl armor accented with gold metallic trim and studs. Velcro side closure for easy size adjustment. 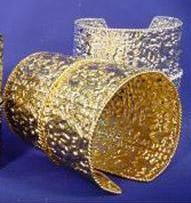 Includes: Vinyl belt with gold metal studs. 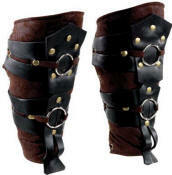 Includes: Brown vinyl wrist & leg gauntlets accented with gold metallic trim and studs. 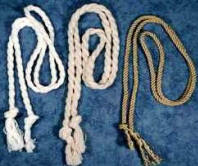 Elastic straps for comfotable fit. Includes: Heavy gold latex belt ties in the back. 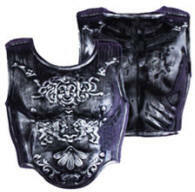 vinyl armor with metal stud accents. 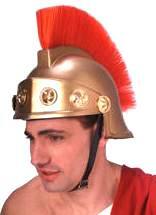 Armor has velcro side closure for easy size adjustment. 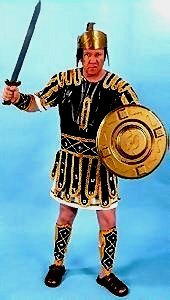 Includes: Textured black faux leather tunic accented with matching Spartan belt, arm cuffs, studded leg wraps & black velvet toga all with gold metallic trim. 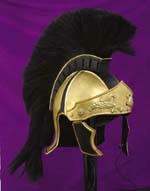 Includes: Black Tunic accented w/gold metallic trim, Leg Gauntlets, Arm Gauntlets & Red Velour Cape. 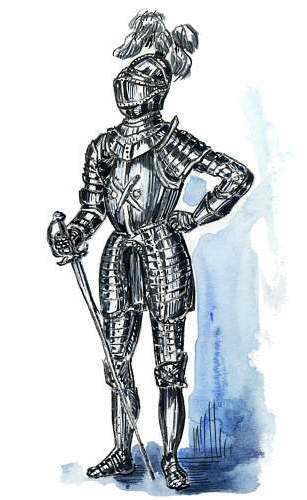 Includes: Red velvet under tunic & cape accented with gold trim, brown armor accented with gold buttons & trim, matching cuffs/gauntlets & leggings. 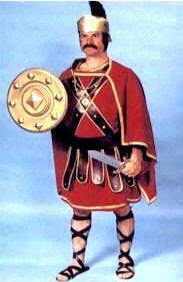 Includes: Red velvet under tunic accented with gold trim, gold armor accented with gold buttons & trim, matching cuffs. Includes: Knee length red knit tunic, embossed leatherette armour with an ultrasuede front panel accented with gold embroidery, attached waist flaps & metal buckle at waist. 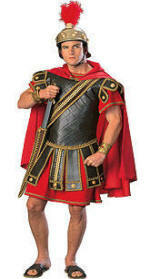 Includes: Tunic, belt with attached straps, chest cover with attached cape, leg & arm guards. sleeves & brooch at bodice. size XL/2XL for purchase @ $229.99.  Need to take picture of White/Blue which is stunning. 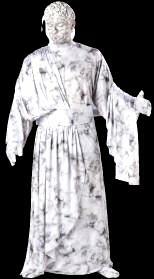 Includes: Colored ponte' knit gown with a white mock undergown and a drape all with metallic trim. Rope Belt. 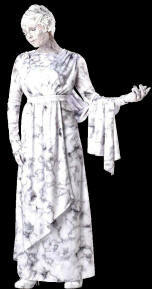 Includes: Floor length white velvet undergown w/old braid trim & velvet toga style drape. 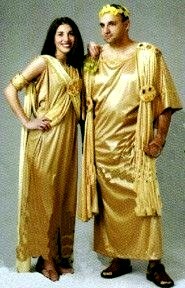 Size: One Size (40-44) Length neck to hem is 55"
accented with metallic gold braid trim. 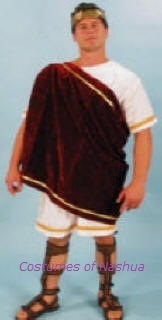 Includes: Dress with attached Drape, Shoulder Medallions & Armbands. 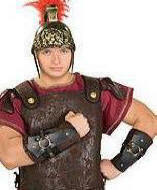 Please note: Upper waist belt runs small. To ensure proper fit, please include your rib cage measurement with your order. 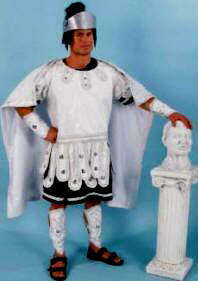 Includes: White Tunic, Body Armour with attached Cape, Shoulder Guard, Helmet, Wrist & Shin Guards. 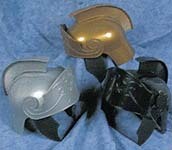 faux suede gauntlets & headband w/Greek key trim. Excellent Value - much nicer then the picture. 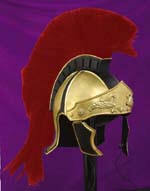 w/Red Shoulder Drape & Headband. 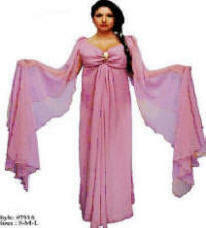 Includes: Robe, Shoulder Drape & Belt. 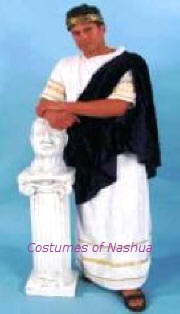 Includes: Long robe with "toga" drape & belt. 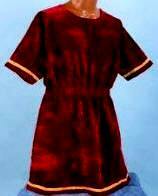 Includes: White thigh-length tunic accented w/gold trim & burgundy velour shoulder drape. both the power of Rome & the love of Cleopatra. 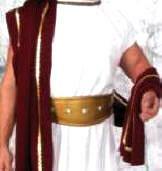 Includes: White velvet knee length tunic with gold braid trim and your choice of red or blue coordinating toga style velvet drape accented with gold trim. 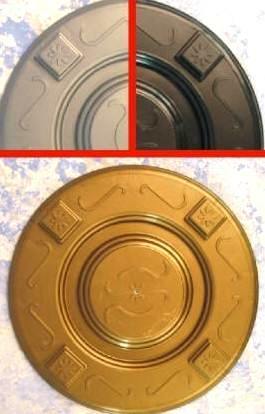 accented with gold or silver trim. 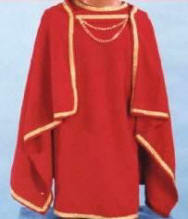 Includes: Knee length red poly knit tunic with white & gold ribbon trim. 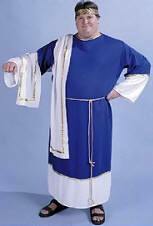 Tunic length is approximately 39". 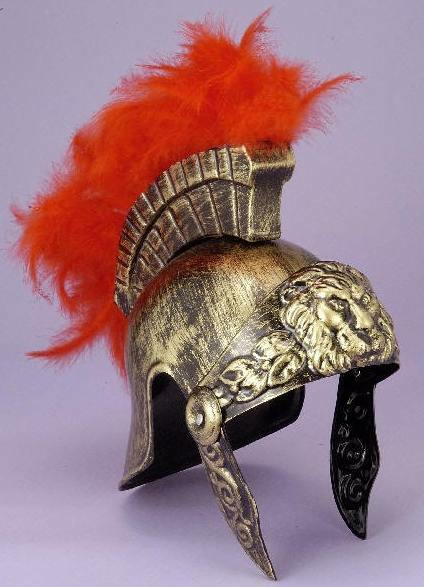 Includes: Lion Front View Necklace on Gold Chain. This item is delicate - the snake neck can break off. Gold metal studding may vary slightly from picture. PU- polyurethane, semi-shiny to non-shiny man made material designed to be less expensive than leather. 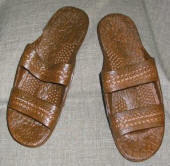 Faux leather (PU) buckled Roman Sandal w/fabric lining & padded foot insert. Full length back zipper for easy on/off. .75" heel & rubber soles. 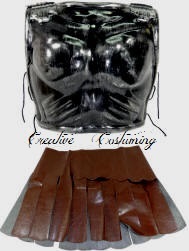 PU-short for polyurethane, is a semi-shiny to non-shiny man made material designed to be less expensive than leather. 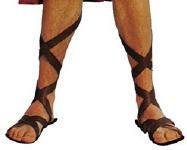 Faux leather (PU) buckled Roman Sandal w/fabric lining & padded foot insert. Full length back zipper for easy on/off. .75" heel and rubber soles. Crushed Velvet cape accented w/silver trim & two button holes to allow attachment at the shoulders. 28" long Crushed Velvet cape w/two button holes to allow attachment at the shoulders. 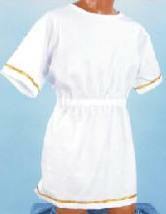 Includes: Polyester tunic w/ short sleeves & gold trim at cuffs & hem. Decorative detailing makes this look like real leather. 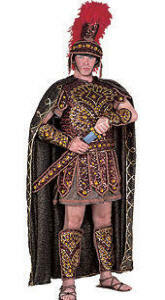 Includes Tunic, sequin and jeweled cuirass, sequin trimmed cape. 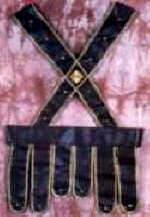 Includes: Kilt with Shoulder Strap & Collar. 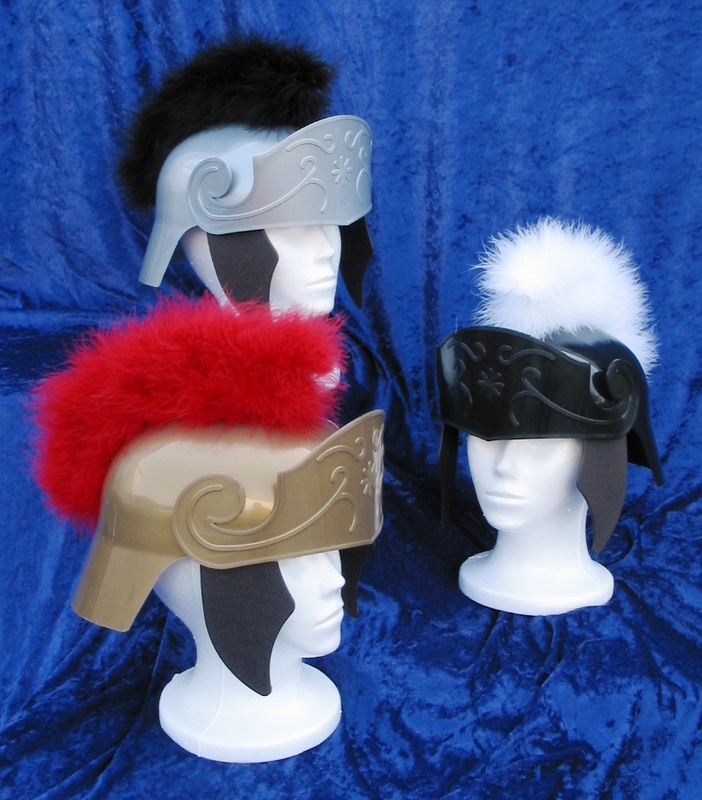 shoe covers, molded hair headpiece. Liquid Latex is recommended to secure headpiece. Makeup Instructions included with costume.